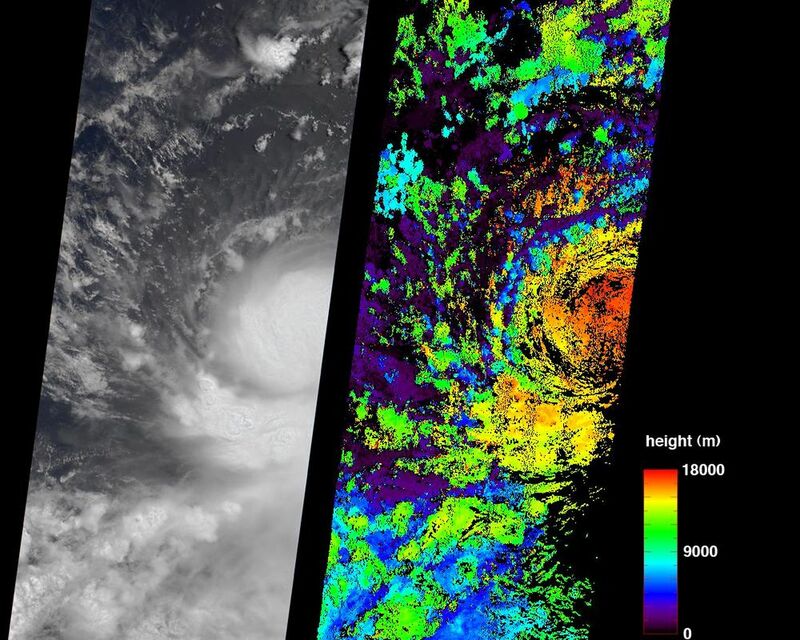 These July 11, 2006 images are from the Multi-angle Imaging SpectroRadiometer (MISR) instrument aboard NASA's Terra Satellite. They show then Tropical Storm Bud as it was intensifying into a hurricane, which it became later that day. 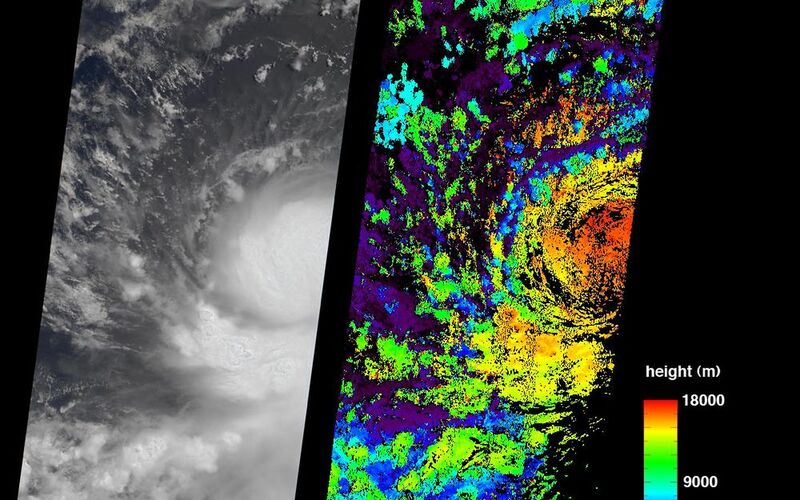 The true-color image at left is next to an image of cloud heights on the right. 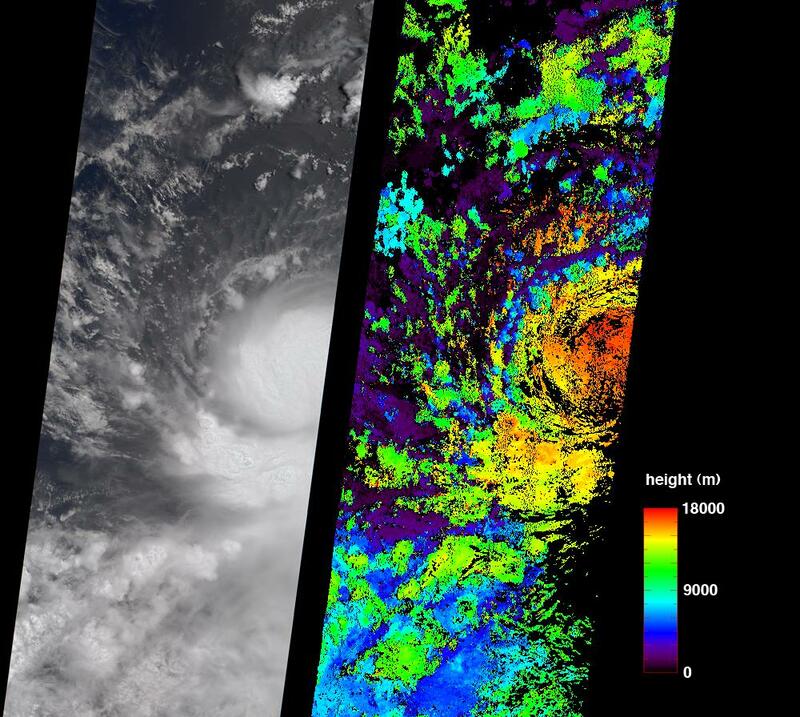 Two-dimensional maps of cloud heights such as these give scientists an opportunity to compare their models against actual hurricane observations. 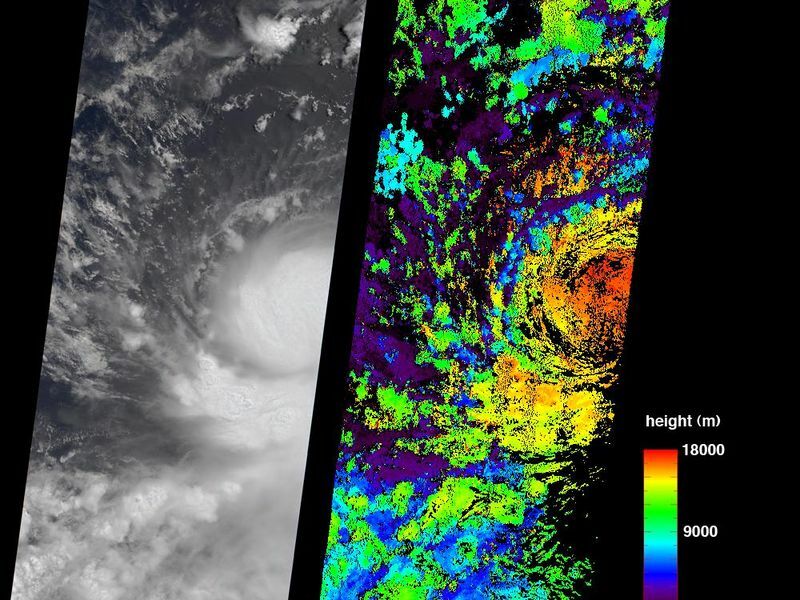 At the time of these images, Bud was located near 14.4 degrees north latitude and 112.5 degrees west longitude, or about 620 miles (1000 kilometers) southwest of Cabo San Lucas, Baja California, Mexico. MISR was built and is managed by NASA's Jet Propulsion Laboratory, Pasadena,Calif. The Terra satellite is managed by NASA's Goddard Space Flight Center, Greenbelt, Md. JPL is a division of the California Institute of Technology.